When voters elect a new president in 2022, Presidential Communications Secretary Martin Andanar is hopeful the electorate will choose someone like President Duterte. With Duterte almost halfway in his six-year presidency, Andanar highlighted that the President has shown his immense political will and strength in implementing reforms and programs that voters may look for in his successor. “Minsan lang tayo magkaroon ng isang Pangulo na talagang limpak-limpak ang political will, napakalalim ng balon ng political will and let’s make the most out of it, let’s take advantage of this political will sapagkat tatlong taon na lamang ito [It’s unusual that we have a President who has great political will. 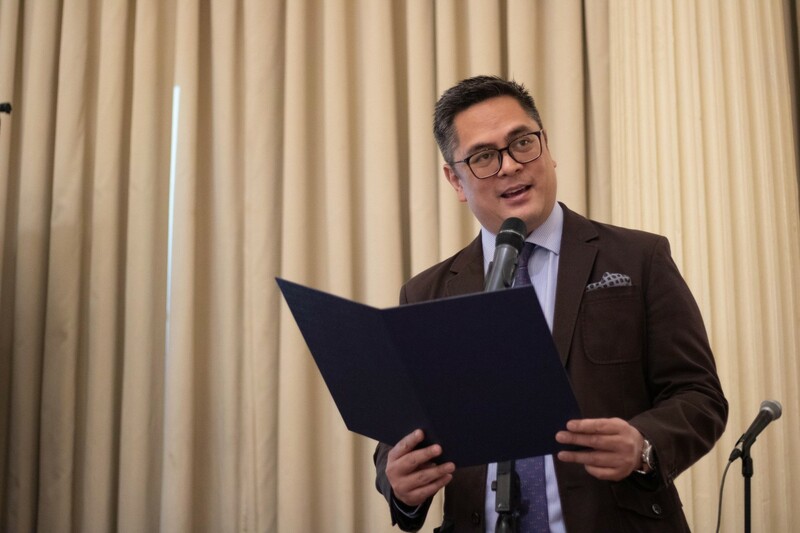 Let’s make the most of out it, let’s take advantage of this political because only three years are left],” Andanar said over government radio last Friday. “Right now, let’s make the most out of it para at least masanay na iyong buong bayan na marami tayong mga puwedeng i-implement na mga pagbabago para ‘pag nasanay ang taumbayan, by 2022, we will be even more prudent to vote for a president that’s somehow like President Duterte [Right now, let’s make the most of out of it so the nation will get used to the fact we can implement many changes. If they get used to it by 2022, we will be even more prudent to vote for a president that’s somehow like President Duterte],” he said. President Duterte, elected in 2016 with a platform to crush illegal drugs and corruption, has a six year-constitutional term that ends in 2022. Duterte recently declared that his last three years in office would be a dangerous time for drug traffickers and their protectors. He has bared a list of politicians with suspected drug links and directed authorities to file charges against them. “Destroy my country and I will kill you,” Duterte said in the recent national peace and order council meeting in Davao City. Andanar, in the same radio interview, said the President has been delivering on his campaign promises particularly on the fight against illegal drugs, criminality and corruption. He said shabu prices reached P6,800 from P2,000 per gram amid the government’s war on drugs. The county also climbed 12 notches – from 111th to 99th place – in the global corruption percent index, he added. He also pointed out that crimes have gone down by nine percent in 2018. Police records showed more than 470,000 crimes were recorded in 2018, compared to more than 520,000 posted in 2017. “When it comes to pagdating po naman sa peace and order, napirmahan iyong Bangsamoro Organic Law, nanalo sa plebisito…at patuloy naman iyong mga localized peace talks [When it comes to peace and order, the Bangsamoro Organic Law has ben signed. It was ratified in a plebiscite. The localized peace talks are also ongoing],”he said. He noted the President will also continue to push for the shift to federalism in the country, hoping the next set of lawmakers will support the initiative. “Sa midterm elections, the President would need enough senators in the Senate para ma-realize natin iyong federalism na pangarap po ng ating mga kababayan [to attain federalism, a dream of our countrymen],” he said.